When you decide that its time to have the carpets in your home or business cleaned, you have several options to choose from. 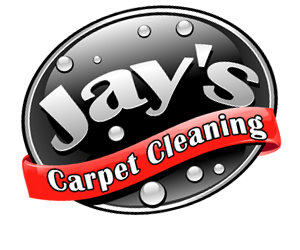 Here, I’d like to go through various carpet cleaning options to help you make the best decision for you. There are many places out there where you can rent a Carpet Cleaning machine for a daily rate, such as your local grocery store or home improvement store. Some are big, and some are more portable but both have their own set of pros and cons. The larger ones will have a larger reclaim tank, which will save you from running back and forth umpteen times to empty it…but they tend to be quite heavy and bulky and difficult to maneuver around. The smaller rental machines, although easy to move around, will require the dirty water be emptied every few minutes. Regardless the size, these machines tend to lack extraction power, which in turn, leaves your carpets pretty wet after cleaning. Fans, dehumidifiers or outside ventilation are often needed to speed up the long dry time. In Consumer Reports, it was observed that even the best of these machines leave behind some dirt and only lighten stains. There are a few manufacturers that make residential carpet cleaning machines that the average consumer can purchase for use in their home. The pro to purchasing your own machine are convenience. You can clean your carpets whenever is convenient for you, without having to schedule it with anyone. You can also use it as many times as you need for only the one-time purchase price. The downside to these machines are their inability to produce heat, along with their lack of water extraction. We all know that things come cleaner when using heat or hot water, and since these machines aren’t able to use heat, they wont get your carpet as clean as possible. And again, since these machines lack the ability to extract the water it uses the clean the carpets, you will have an extended drying period. No matter where you live, there are a multitude of companies to choose from. Since there are different methods of Carpet Cleaning, you will need to decide which one you desire to be used on your carpets. Once that has been determines, then narrow down the Carpet Cleaning companies that use that specific method. Professionals can usually get the toughest of stains out. Although hiring a Professional Carpet Cleaning Company can be more expensive than renting or even buying your own machine, most often you will be happier with the results.